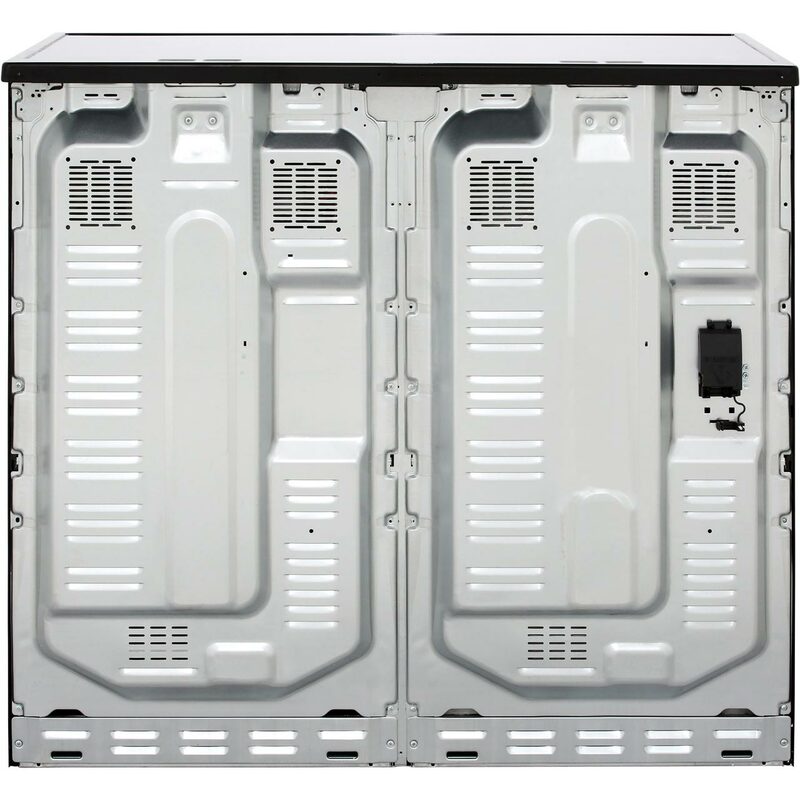 "Being the cheapest range we could find, we thought it would look and feel cheap but we were wrong. 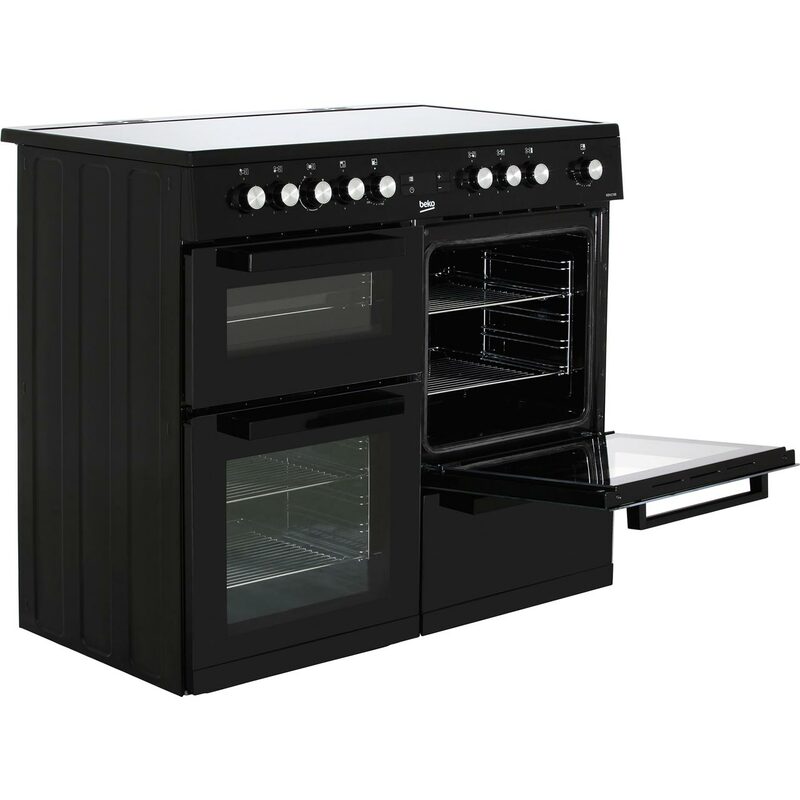 The design is very good although be aware the ovens are smaller than the norm so your existing shelves will not fit. Hob is very quick to hear and the dials are solid. Oven fans are a little noisy but not intrusive. "Great oven for a great price . 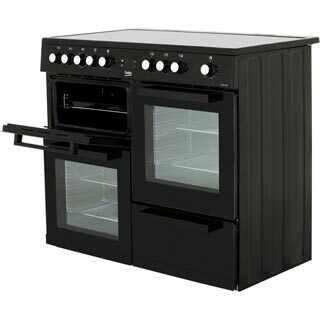 I really do love this oven it looks fantastic in my kitchen . 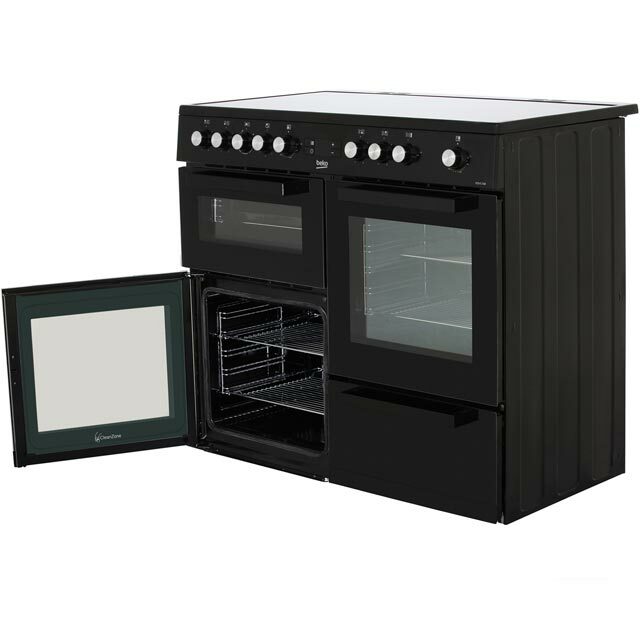 It’s really easy to access both ovens to keep it clean . 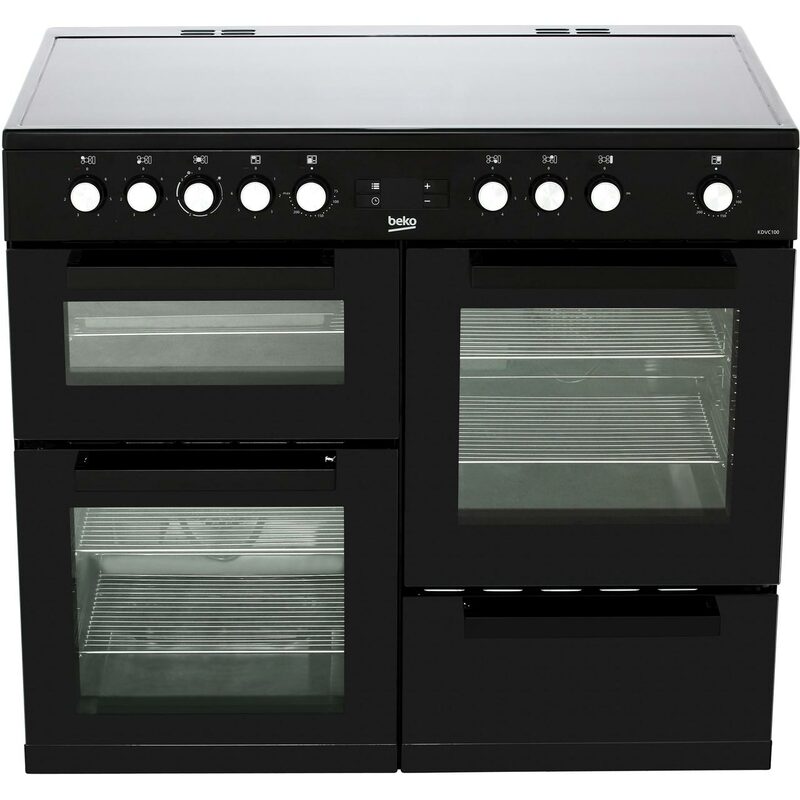 Heats up really quickly and I love that even after the hob has been turned off it clearly displays which of the rings are still hot , this is a great safety feature and was the first thing I showed my family . " 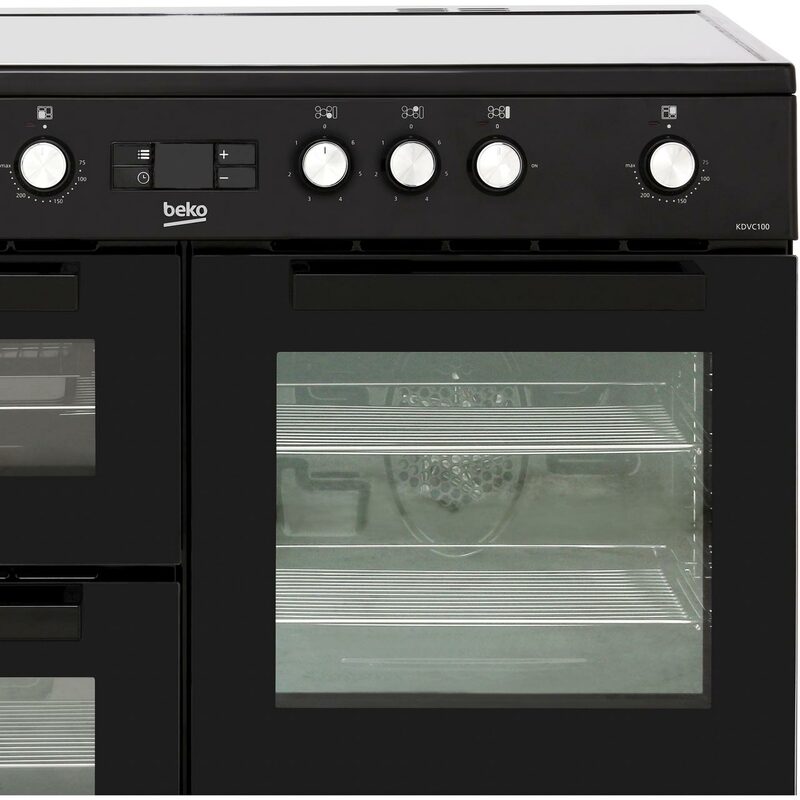 "Having previously had a Leisure range and needing a new cooker I opted for Beko as have had numerous Beko appliances over a long number of years and all have been reliable.I read through reviews and the main complaint seemed to be the oven shelves having a lip-well,they do and it is a design fault for sure but all I did was keep my shelving from my old range and have used them instead as they fit perfectly.My main concern is the hob switches,the whote dot showing what number the ring is at is in the wrong place,it should be on the front of the actual knob as when the switch goes round the white dot indicating what number the hob ring is on at is covered by the actual knob and to see what you have turned it to you need to bend right down and look under the knob,to counteract this I have had to use bump ons (an aid for the blind) directly onto the front of the knob,then it can be seen at a glance what the setting is at.Aside from that I have to say that the AO guys delivering and installing were fantastic,they tested all parts,explained how it all worked etc and on using it for the first time last night it is a smashing cooker,really like it,especially the fact that both ovens are fan ovens so cooking will be even faster,so except for the two design problems that Beko really need to address it seems to be an all round good item. " 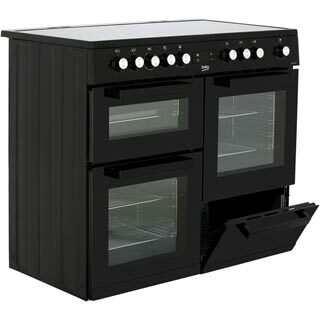 Great product, good looking making cooking nice and easy ?? "100% positive !! This cooker make cooking nice and easy ! I'm saving a lots of time now so I have more time for family. Roast chicken with lovely gold skin and perfectly done inside or sponge with nice gold color around is not a problem any more ! This two amazing ovens will do all job for you ?? easy to use and so easy to clean . No more burned cake the timer on the cooker will turn the oven off automatically. 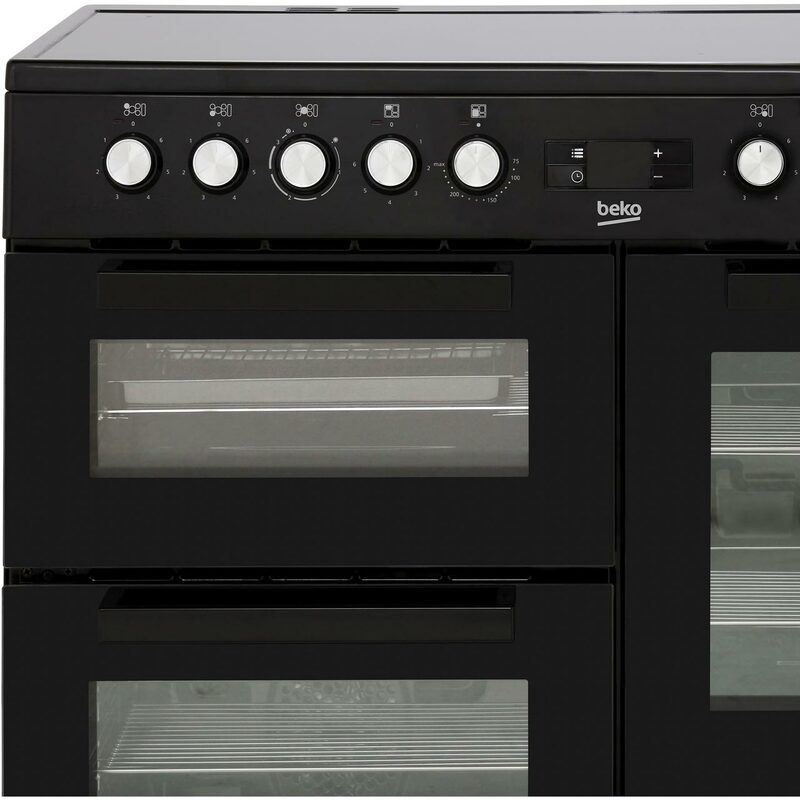 Beko cooker is my best purchase ever !!!!" 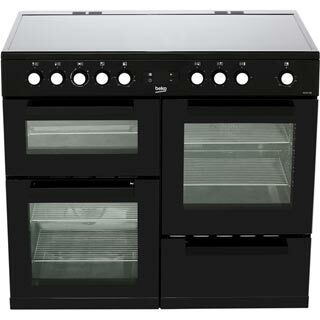 "Great service once again from the ao team, can’t wait to get my Mary Berry on with my new Beko Range style cooker. Thanks ao." 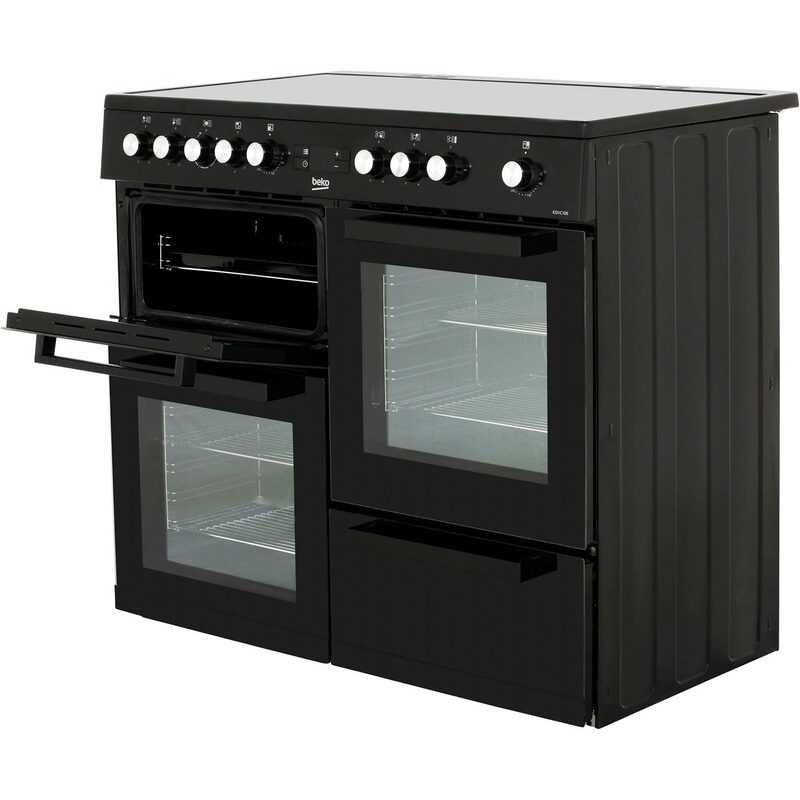 "For the price this cooker is brilliant, looks amazing and easy to use. Fan ovens are a little noisy but being used to a fan oven this doesn't bother us at all. 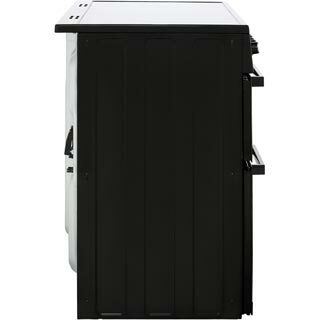 Looks classy and classic without the price tag. 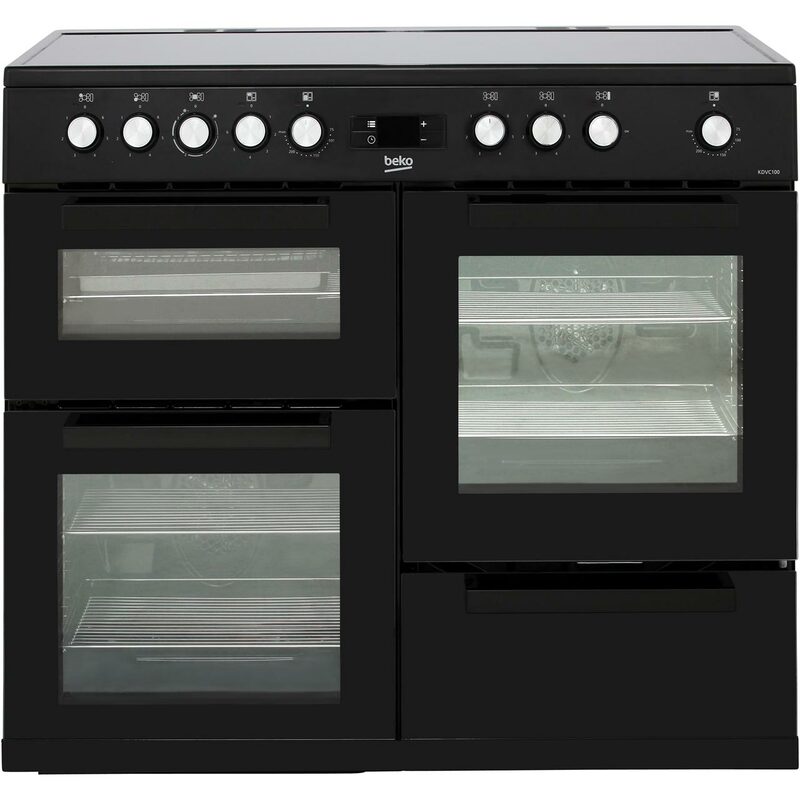 Plenty of room in the ovens and the five rings on top are well spaced out for bigger pots and pans, the warming plate is also a brilliant idea and works well. Ideal for the larger family, we all love it."